I was three years old at the time. 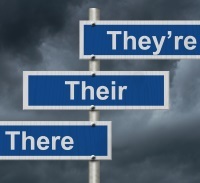 Am I the only person out there who uses proper grammar as a proxy for intelligence and/or work ethic? Are other people also upset by the fact that now correct usage gives someone bonus points when it used to be, and still should be, the baseline? As it turns out, I’m not. Most people think that writing an online dating profile is a one-time job, and they rarely change it based on its success, or lack thereof. They also try to write it as quickly as humanly possible since it’s a seemingly dreadful task that they want to get out of the way. Your online dating profile is one thing that you really should spend your time on, though. You’re putting yourself—not a product or a service—out there for the world to see, so it’s extra important to make sure you’re putting your best foot forward. I’ll ask Mr. Buffett what he thinks. Nope, he doesn’t think so. How many of you are there? More importantly, how many will show up on the date? I’d like to buy a comma, please, Vanna. Even text speak, like “ur” for your, drives some people absolutely bonkers. And what happened to punctuation? It sure is, which is why I instill in my clients—and in people in general—the benefits of reading over their profiles, reading them again, reading them aloud, printing them, having a friend review them… you get the idea. No one is perfect, of course, but we can get as close as we can by doing what’s in our control. A final thought: As much as I’m a stickler for proper grammar, it is still important to remember that people do have different types of intelligence. While someone may not be the best writer in town, perhaps he or she is instead great at Civil War history, poetry of the 1600s, or ornithology. It’s important to decide if some initial “flaw” (in this case, a typo or error) is a deal-breaker for you. Either way, give your profile the final once-over just in case, because no one wants to go out with someone who is “humerus”—arms just aren’t that funny. If you like this advice and want more, check out the 8 dating tips that will change your life today!